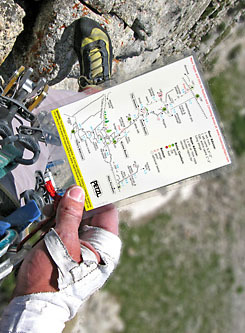 All the information you will need for the approach, the climb, and the descent. Ulta-light and practical size (4"x6") making the topo easy to consult, especially while on lead. Available individually for the best multi- pitch routes.